I made this video for my Video Art class at the Emily Carr University of Art + Design in Vancouver, BC, Canada this spring and it is based on the online video game, World of Warcraft. The project required us to use found footage and splice it together within the theme of a haiku and I chose to focus on Warcraft, using several different scenes from official gameplay trailers along with my own haiku sequences in order to create its own unique storyline. Tis that time of year again, when the powers that be (aka Blizzard) releases the newest patch for WoW – Ulduar looks pretty sweet and I am looking forward to raiding this new instance after spending the past 5 months running Naxx every single week! As far as his parents were concerned, Brandon Crisp was just playing one of his video games, a time-consuming pastime for the 15-year-old. Little did they know the Barrie, Ont., teen was making his way to the top tier of the gaming world, where all that time in front of the gaming console might start to pay off with big wins and recognition in an alternate online gaming universe. When Steve and Angelika Crisp confiscated his console on Thanksgiving Monday, Oct. 13, 2008, the teen threatened to run away from home — and did. His body was found three weeks later in a forest, with the cause of death determined to have been a blow to the chest likely caused by falling from a tree. CBC-TV’s Fifth Estate took a closer look at the case in a documentary titled Top Gun which airs Friday at 9 p.m. ET. Though Crisp’s disappearance began as a simple missing child case, it grew into something larger, prompting parents and officials to turn their eye on a world they barely knew — the quickly growing video gaming circuit — and its allure for young and impressionable teens. The video gaming world, with graphics so sophisticated they make the settings seem real and lucrative prizes that rival some professional sports, is enticing to children, many of them younger than the ages recommended in game ratings. The Crisps admit they had no idea how important video games had become to their son and said they would never have bought the console as a Christmas gift if they’d known where it might lead. “He was the kind of kid that would want to be the best at everything or anything that he did,” said Steve Crisp. Brandon had put that passion into hockey years earlier but stopped playing at 12, frustrated about getting benched because of his small size. He found a new niche in the so-called first-person shooter genre of video games, in which the player experiences the game through the eyes of a fighter on a mission. Brandon became obsessed, playing the Xbox video game Call of Duty 4: Modern Warfare on a television in his bedroom every chance he got. It was Nick, a friend Brandon met on a school bus in the first week of Grade 9 in 2007, who introduced the teen to playing Call of Duty online, opening up a whole new world. The popularity of video games continues to climb in both the U.S. and Canada. In Canada, the video gaming market — including software, hardware and accessories — raked in $2.1 billion in 2008, a 33 per cent increase from the previous year. American retailers, meanwhile, saw $21.33 billion in sales in 2008, a 19-per-cent increase from $18 billion in 2007. Mario Kart Wii, 8.94 million units. Wii Fit, 8.31 million units. Grand Theft Auto IV, 7.29 million units. Super Smash Bros: Brawl, 6.32 million units. Call of Duty: World at War, 5.89 million units. The friends formed a team, or clan, on Gamebattles.com — one of the fastest-growing online gaming sites — that allowed them to go on video game missions together, work their way up player rankings and win prizes. Owned by Major League Gaming, the site boasts 2.5 million registered users. Soon, the members of the group were battling insurgents together in a virtual landscape stretching from the Middle East to Russia. “We all kind of got good,” said Nick, but it was Brandon who proved the natural leader. As Brandon became more and more immersed in the world, his parents were trying to limit his playing time. They even tried to cancel his online gaming subscription, but Xbox refused because the account was prepaid. Then, three days before Thanksgiving, his parents discovered Brandon had skipped school to play the game. The Crisps took the Xbox away and hid it in their bedroom. But Brandon found it, plugged the console back in and started playing again. “Son, this time, it’s just not coming back,” Steve recalls saying. Brandon reacted by threatening to run away from home. The two called what they thought was a bluff. “I said, ‘Brandon, you’re not going to leave over a game. That’s ridiculous’,” said Angelika. Then she advised him to take a warm coat if he was going to leave. He sped off with his coat and a knapsack on a mountain bicycle he hadn’t ridden in three years. A week later, that bicycle was found abandoned in a ditch by the side of a road in Shanty Bay, a few kilometres from his home. Hunters found Brandon’s body several weeks later on Nov. 5 in a farmer’s field in the area north of Barrie. During the three-week-long search, many comments were made about the type of kid Brandon was, but his friend Nick says it could’ve happened to anyone. Gary Direnfeld, a social worker in Dundas, Ont., known for his advice on the lifestyle television show Newlywed, Nearly Dead?, said his practice has seen a rise in the number of parents seeking help for their children’s gaming addictions. While video games aren’t the same as drugs, Direnfeld says they can produce a similar effect: a sense of euphoria and power plus an adrenaline rush that proves addictive. 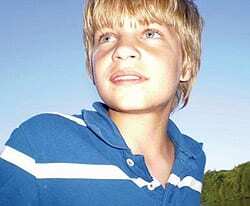 Daniel Folmer, 24, of Texas was eight years old when he started playing first-person shooter games and became addicted. Folmer remembers how he felt chills each time the game loaded up and revelled in killing hundreds of virtual people with his sniper rifle. He later quit cold turkey and now gives lectures about helping people get over their gaming addictions. Folmer said the problem with online gaming was not only the violence but the intensity and sense of responsibility players feel to the team members with whom they spend hours on the console. Peer pressure is built into the games, said family therapist Gary Direnfeld, with friends relying on each other to advance up the rankings ladder. Six months before Brandon ran away, he and his friends had signed up the clan for the Gamebattles Call of Duty ladder and were quickly caught up in the competition. But they, too, experienced the frustration when some failed to pull their weight. Several months later, Brandon split with his friends and began focusing more time on his game. According to his friends, he had reached the highest level of the so-called prestige mode in Call of Duty. The Crisps learned after Brandon’s death that the Thanksgiving weekend when he ran away was key to their son finally closing in on the top ranks of his Call of Duty competition ladder. He had skipped school for a match and had others scheduled. Then his parents took away the console, causing him to lose his hard-fought ranking in a hobby he hoped to turn into a profession. In fact, video gaming, referred to by some as an e-sport, can translate into a profitable career. Major League Gaming, which owns Gamebattles.com, has turned what once was an inside pastime into a televised spectator sport, with tournaments featuring $100,000 prizes and professional teams with their own coaches and sponsors. The four players with Canada’s top professional video gaming team, Amp Energy Pro Team, consider themselves athletes and are fully dedicated to the career. They won’t disclose their earnings, but some professionals in the field are making hundreds of thousands of dollars a year. Only now do his parents fully comprehend what video games had come to mean to Brandon. 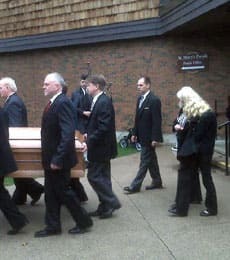 “It would be devastating for someone to be disconnected,” acknowledged his mother, Angelika. “It’s cult-like, and you can understand why he’d run down for dinner, run back up to his room and get back on the game and play in the middle of the night and be so mad when I’d rip the thing out of the wall unexpectedly when he’s in the middle of a game or a tournament,” said Steve. But Brandon’s father says the gaming industry needs to be subject to more stringent regulations and shouldn’t allow children to compete for money. Brandon’s game of choice, Call of Duty, is rated M for mature, meaning its suitable for ages 17 and older. In Ontario, Manitoba, Nova Scotia and New Brunswick, it’s illegal to sell M-rated games to those under 17. Saskatchewan and Alberta are in the process of introducing similar regulations. The Entertainment Software Rating Board, a self-regulated body established by the industry, allots the ratings. “When the industry itself says that kids under 17 shouldn’t be playing this game, then … a parent can be pretty sure that it’s not appropriate for a 10-, 11-, 12-, 13-year-old kid to be playing,” said David Walsh, a child psychologist who pushed for the ratings system. Major League Gaming CEO Matthew Bromberg says the average age of Gamebattles players is 18, which means many are younger. “It’s no more violent than a cartoon on Saturday morning,” he says. Danielle Labossiere-Parr, executive director of the industry group Entertainment Software Association of Canada, points out it is often parents purchasing the games for their children. She said ratings are clearly stamped on the front of game packages and parents need to educate themselves on their purchases. As for the Crisps, who only now understand a world their son spent most of his time inhabiting, they wish they’d taken control a lot sooner. These World of Warcraft Machinima movies made me laugh and smile – definitely worth watching and will make you giggle and feel good inside! Jonathan Coulton is a singer/songwriter who releases his songs via the Creative Commons license, which enables projects such as this video. Through his “Thing A Week” podcast, Jonathan has put out a clever, creative song like this one every week for a year. Mike Spiff Booth is a Program Manager at Adobe who thought this great song deserved a video. Please visit http://www.spiffworld.com for more information about my videos, including info about how I make them. I never realized the extent of how far this affected players around the world – Here is how things spread like wildfire in the game and why doctors and scientists used it as a model for studying how real-life diseases can spread in a major urban environment – BBC News even covered it…see below! Corrupted Blood was a virtual plague that infected characters in the computer game World of Warcraft, spreading rapidly from character to character. Its resemblance to real-life disease epidemics drew international attention. 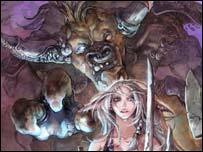 The “epidemic” began on September 13, 2005 when Blizzard Entertainment, the developer of World of Warcraft, introduced a new instance dungeon called Zul’Gurub into the game as part of patch 1.7. Inside was a boss named Hakkar the Soulflayer, alluded to as the “blood god”. Players who fought Hakkar were affected by his debuff (a spell which has a negative effect over a fixed period of time). The debuff, in this case, was Corrupted Blood, a spell that caused 263–337 points of damage (compared to the average health of 2500–5000 for a character of the highest level, and with those at the mid-levels having about 1500) every two seconds to the afflicted character. The affliction was passed on to any characters standing too close to an infected character. While the curse would kill most lower-level characters in a matter of seconds, higher-level characters could keep themselves alive (via healing spells, having high stamina, or other means) long enough to spread the disease around the immense landscape inside the game. Death caused by the debuff did not cause any durability penalty, unlike most other causes of death in the game. The disease would eventually go away as time passed or when the infected character died. The only way that a player was able to bring the disease outside of Zul’Gurub was by allowing a pet to get the debuff, dismissing the pet in less than five seconds, then summoning it in a populated area. (When dismissed, the pet retains the debuff and the timer of the debuff is paused.) This debuff transmission technique was first seen with the “living bomb” debuff from Baron Geddon in Molten Core. The plague was spread by players’ pets that contracted the disease and also by malicious players known as “griefers”, who found ways to bring the digital virus into heavily inhabited areas. After a few days, Corrupted Blood had become World of Warcraft‘s version of the Black Death, rendering entire cities uninhabitable and causing players to avoid large clusters of others, and in many cases, causing players to avoid major cities altogether. Due to the curse’s peculiar behavior—it was never meant to leave Zul’Gurub—the ability to infect pets and NPCs was a side effect unconsidered by the developers. The intended behavior involves the final boss fight with Hakkar. Every so often, Hakkar will cast this debuff on a random player, effectively forcing players to be spread apart, or in the case of melee classes, to move away from Hakkar before spreading it to the other melee classes. Blizzard Entertainment tried several times to fix the problem, including imposing a quarantine on certain places. This “plague” was eventually “cured” by restarting the servers, and changing the mechanics of the Hakkar encounter to eliminate the spreading of the effect from character to character. Hakkar still has an ability called Corrupted Blood, but it now takes the form of a red bolt launched at a random player fighting the boss. The player and those nearby take damage, and receive a heavy damage over time, but the effect no longer spreads further. Due to the large scale outbreak of the “plague” (some servers had half of their characters infected), it drew wide attention from the media. In March 2007, Ran D Balicer, an epidemiologist physician at the Ben-Gurion University in Israel, published an article in the Journal Epidemiology describing the similarities between this outbreak and the recent SARS and avian influenza outbreaks. Dr Balicer suggested role-playing games could serve as an advanced platform for modeling the dissemination of infectious diseases. In a follow-up article in the journal Science, the game Second Life was suggested as another possible platform for these studies. In August 2007, Nina Fefferman, a Tufts University assistant research professor of public health and family medicine, called for research on this incident, citing the resemblances with biological plagues. Some scientists want to study how people would react to environmental pathogens, by using the virtual counterpart as a point of reference. Subsequently she co-authored a paper in the journal “Lancet Infectious Diseases” discussing the epidemiological and disease modeling implications of the outbreak, along with Eric Lofgren, a University of North Carolina graduate student. In addition, Centers for Disease Control and Prevention requested statistics on this event for research on epidemics, but it is unknown if they followed through with their request after learning that it was just caused by a bug. 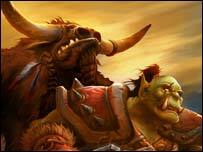 A deadly virtual plague has broken out in the online game World of Warcraft. Although limited to only a few of the game’s servers the numbers of characters that have fallen victim is thought to be in the thousands. Originally it was thought that the deadly digital disease was the result of a programming bug in a location only recently added to the Warcraft game. However, it now appears that players kicked off the plague and then kept it spreading after the first outbreak. Since its launch in November 2004, World of Warcraft (Wow) has become the most widely played massively multiplayer online (MMO) game in the world. 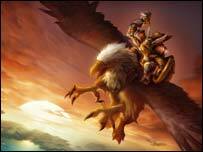 Its creator, Blizzard, claims that now more than four million people are regular players. Wow is an online game that gives players the chance to adventure in the fantasy world of Azeroth that is populated by the usual mixture of humans, elves, orcs and other fantastic beasts. To give these powerful characters more of a challenge, Blizzard regularly introduces new places to explore in the online world. In the last week, it added the Zul’Gurub dungeon which gave players a chance to confront and kill the fearsome Hakkar – the god of Blood. In his death throes Hakkar hits foes with a “corrupted blood” infection that can instantly kill weaker characters. The infection was only supposed to affect those in the immediate vicinity of Hakkar’s corpse but some players found a way to transfer it to other areas of the game by infecting an in-game virtual pet with it. This pet was then unleashed in the orc capital city of Ogrimmar and proved hugely effective as the Corrupted Blood plague spread from player to player. Although computer controlled characters did not contract the plague, they are said to have acted as “carriers” and infected player-controlled characters they encountered. The first server, or “realm” as Blizzard calls them, affected by the plague was Archimonde; but it is known to have spread to at least two others. The spread of the disease could have been limited by the fact that Hakkar is difficult to kill, so some realms may not yet have got round to killing him and unleashing his parting shot. The digital disease instantly killed lower level characters and did not take much longer to kill even powerful characters. Many online discussion sites were buzzing with reports from the disaster zones with some describing seeing “hundreds” of bodies lying in the virtual streets of the online towns and cities. “The debate amongst players now is if it really was intentional although due to the effects of the problem it seems unlikely,” Paul Younger, an editor on the unofficial worldofwar.net site, told the BBC News website. “It’s giving players something to talk about and could possibly be considered the first proper ‘world event'”, he said. Luckily the death of a character in World of Warcraft is not final so all those killed were soon resurrected. However, there are reports that this has not solved all the problems and that isolated pockets of plague are breaking out again. The “Corrupted Blood” plague is not the first virtual disease to break out in game worlds. In May 2000 many players of The Sims were outraged when their game characters died because of an infection contracted from a dirty virtual guinea pig. Who wouldn’t want the ability to cause mayhem and destruction on a scale like this?!?! ?